Women face several unique risks when it comes to developing gallstones. If you take birth control pills or are on hormone replacement therapy to cope with menopause symptoms, or are pregnant, you are more likely to suffer from gallstones. Given the additional risk factors for women, the occurrence of gallstones is understandably higher than for men. Dr. David Yamini understands these challenges and provides excellence in diagnosis and treatment. Treatment of gallstones is not always necessary; however, it is important to attend additional consultation appointments with Dr. Yamini if you experience pain or discomfort in the abdominal area. If treatment is required there are a number of ways in which it is delivered. Surgery to remove the gallbladder may be an option, as bile can travel directly from the liver to the small intestine. Alternatively, medications can be used to dissolve gallstones over time. This type of medication is taken orally. When you opt to take medication to treat gallstones, it is important to understand that the process will take a long time, and in most cases, gallstones will reoccur. There are dietary changes that you may make in order to avoid the reoccurrence of gallstones. However, Dr. Yamini may recommend the removal of the gallbladder as the most effective treatment option. One of the most noticeable signs of gallstones is a severe and intensifying pain in the upper right or center of the abdomen. Back pain may also occur in the back, between the shoulder blades or in the right shoulder. For many patients, one or more of these symptoms are experienced in conjunction with nausea and vomiting. 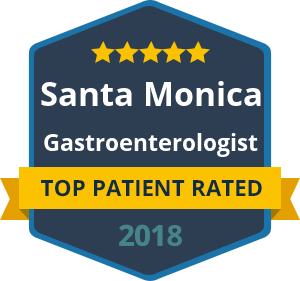 If you are concerned that you may have gallstones, reach out to the expert team of Dr. David Yamini in California today.